The Poe Studies Association’s James W. Gargano Award is given annually for the best article on Edgar Allan Poe in any given year. BYU English professor Emron Esplin, the 2013 recipient of the Gargano Award, shared his insight on Borges’s influence on Poe’s reception in Spanish America, as well as the research process that shaped his award-winning article and forthcoming book. PROVO, Utah (June 1, 2015)—When English professor Emron Esplin first set out to write a book on Edgar Allan Poe and Spanish America, he did not know that his research would focus so specifically on Argentine writer Jorge Luis Borges’s transformative influence on the reception of Poe. Esplin is the most recent recipient of the James W. Gargano Award, which is given annually by the Poe Studies Association for the best article written on Poe in any given year. The article, “Borges’s Philosophy of Poe’s Composition,” comprises the first chapter of his forthcoming book and reflects its broader arguments, identifying Poe as a major literary influence in Spanish America and tracing the dramatic transformation of Poe’s image in the mid-20th century. 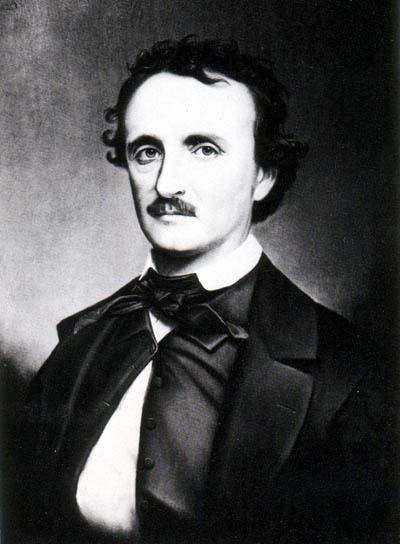 Esplin’s book, Borges’s Poe: Two-Way Influence and the Reinvention of Edgar Allan Poe in Spanish America, will be published by the University of Georgia Press in early 2016. Borges was an Argentine short-story writer, essayist, poet and major literary influence in Spanish-language literature. Esplin explained that as a young author in the 1920s and 30s, Borges challenged the influence of the modernista movement– a Spanish American literary movement concerned with beauty and the intrinsic value of art– through redefining Poe in his literary criticism, and in the 1940s reshaped Poe by writing Poe-influenced fiction. Esplin argued that as Borges adopted and altered fiction tactics used by Poe, Poe’s image transitioned over time in Spanish America from poet to fiction-writer, a shift in which Esplin believes Borges played a significant role. Esplin continued that out of these three writers, Borges is ultimately the catalyst that shifted Poe’s reputation in the Spanish-speaking world. He argued that Borges was able to do this by rereading and reinterpreting Poe through literary criticism, translating Poe’s stories and making them visible in important anthologies and finally by writing fiction that was largely influenced by Poe’s own work. The title of Esplin’s article and first chapter of his book, “Borges’s Philosophy of Poe’s Composition,” finds familiar roots in the title of Poe’s famous essay “The Philosophy of Composition.” Esplin said that the article and the first chapter sift through Borges’s different readings of “The Philosophy of Composition” and argue that Borges reads Poe’s essay as detective fiction. “Poe’s detective fiction accomplishes what he claims to do in ‘The Philosophy of Composition’ but fails to actually achieve, which is to show the inner-workings of the rational mind,” Esplin said.